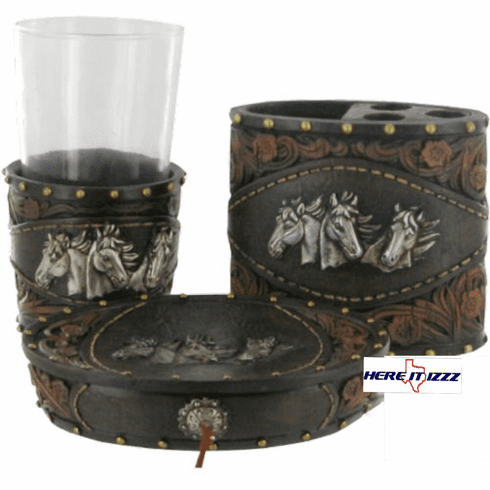 Great looking 3 piece vanity set featuring The Wild Horses. Stamped tooled leather look with triple horse head emblem on each piece. Wild Mustang Horses Vanity set contains all three pieces pictured.The vanity set features a Poly Resin toothbrush holder, soap dish and tumbler.